i'm craving crisp fall days when the leaves are really these colors! 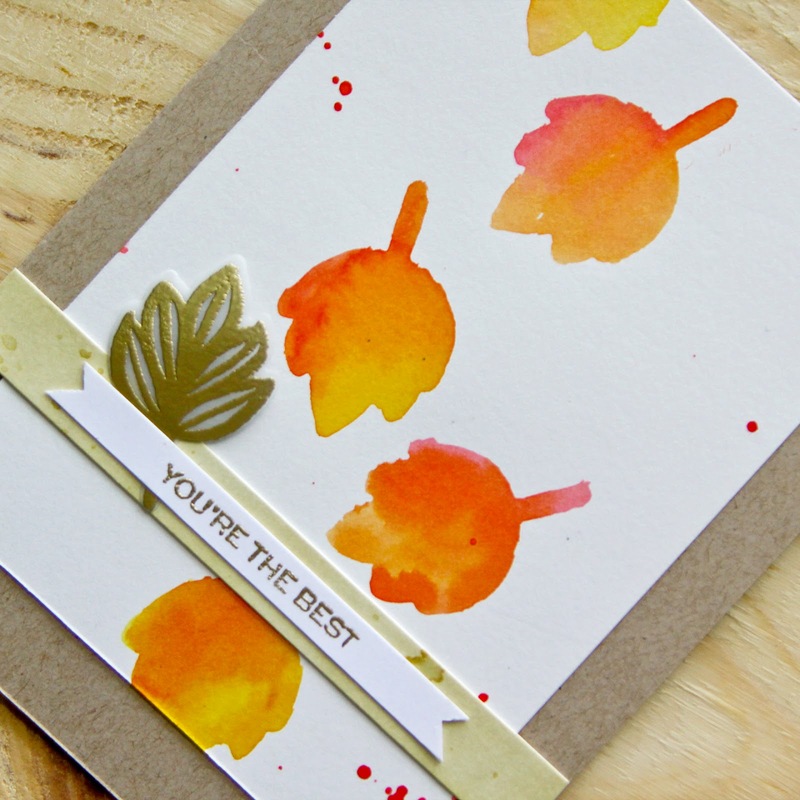 and i'm loving this essentials by ellen clear stamps thankful set so much! 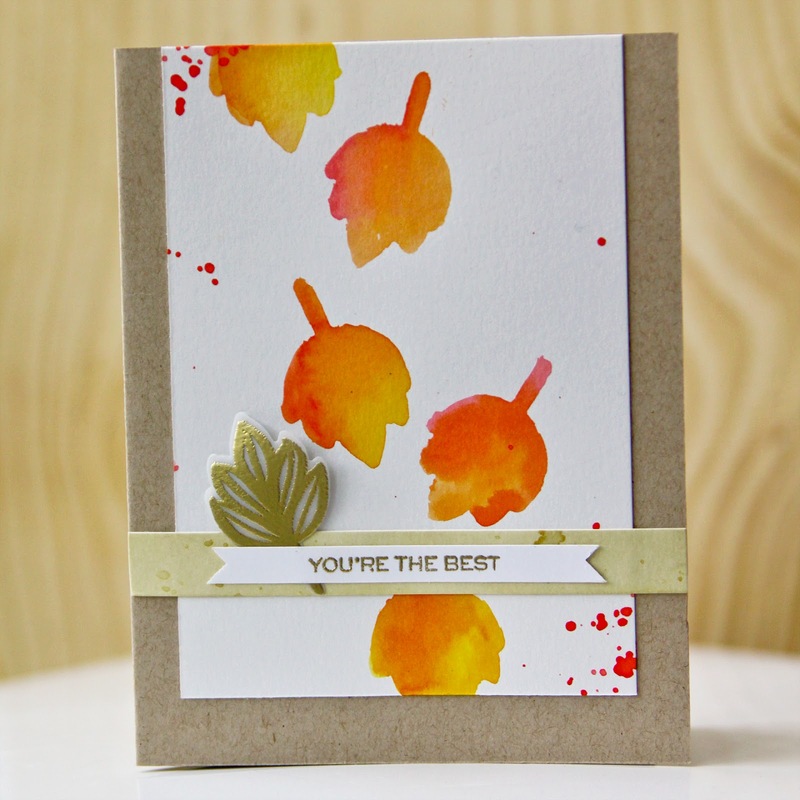 -to create the watercolored background for this card, i used the die cut scraps from my last card. 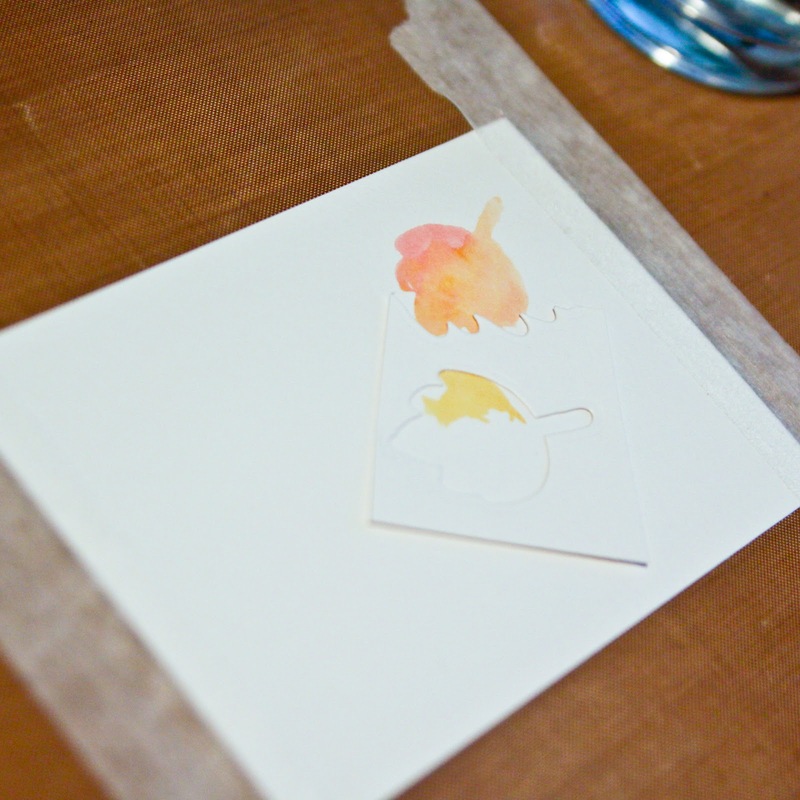 i put the scrap piece paper containing the negative leaf shape down on my 3.5 x 5 piece of bristol and carefully watercolored inside of it using distress inks. -i stamped the coordinated leaf shape on vellum in versamark and embossed in gold. then i die cut the shape. -i stamped a sentiment from the wplus9 hand lettered thanks set in versamark and embossed in gold as well. i cut it into a skinny strip and "fishtailed" the ends with scissors. -i matted the sentiment on bristol paper that i first watercolored with antique linen distress ink, tucking the vellum leaf behind the sentiment strip. How pretty! Love all the elements!